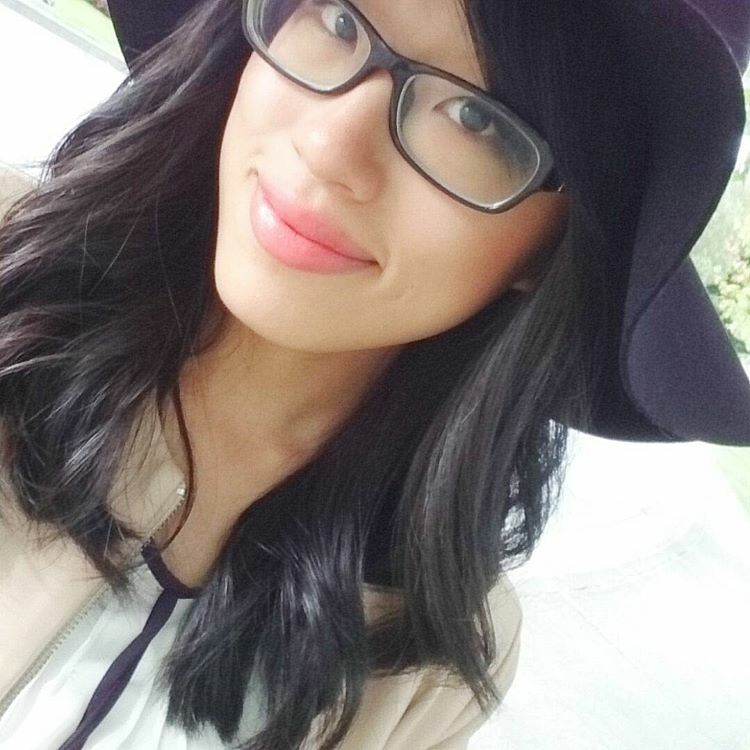 Something different is up! Apart from blogging and playing around with makeup, I love to sit back and have board games night (or day) with my friends. 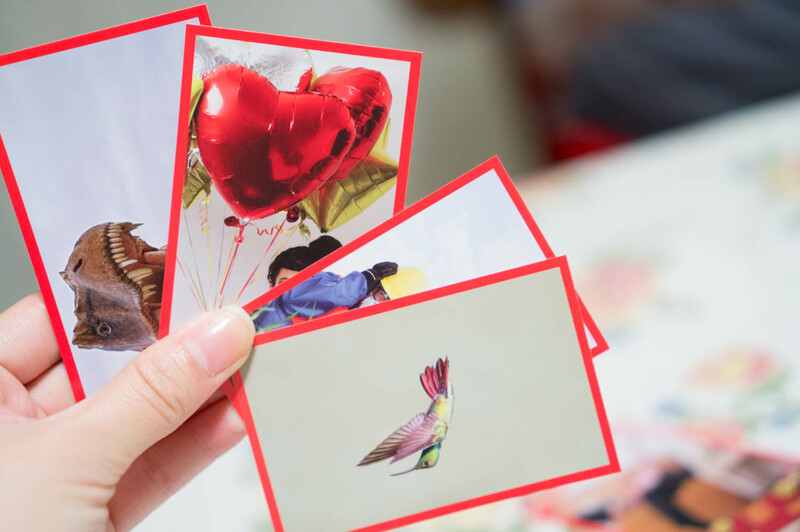 I recently got to play 4 games from Mattel, which I was pretty stoked about (one of the coolest blogger perks!) I’m usually the one going over to someone’s house for a games night so for once, now people can come to me! 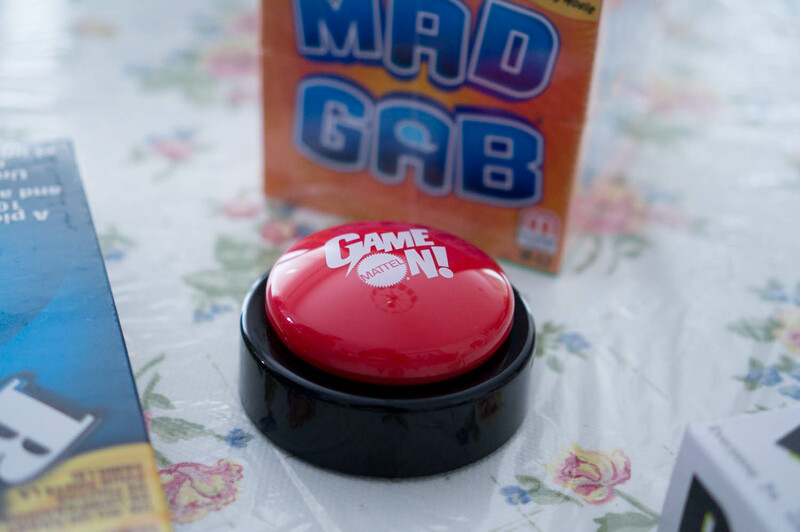 Cute little red button to signal that game time is starting! This reminds me of those EASY buttons you get at Staples. I remember this game wayyy back and played this on field trips in high school. 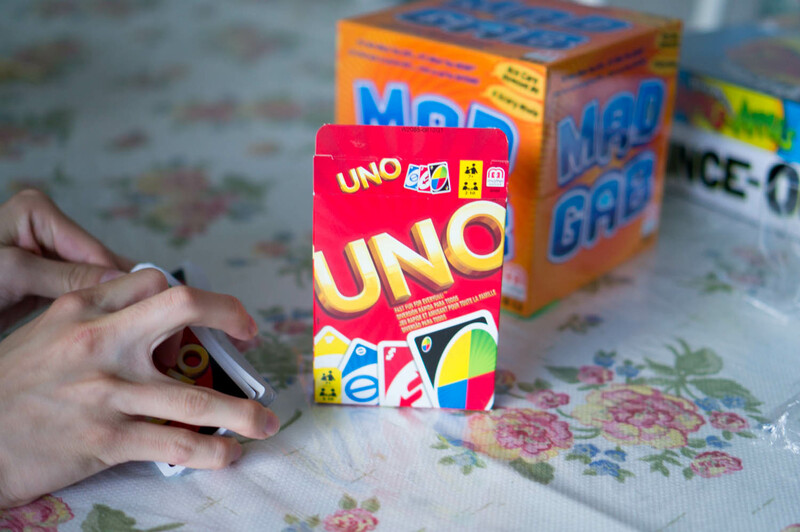 I’m terrible with card games like poker and other gambling games, so Uno is a refreshing game to me, plus it’s very handy to carry around in a bag! Mad Gab , one of my all time favourites. 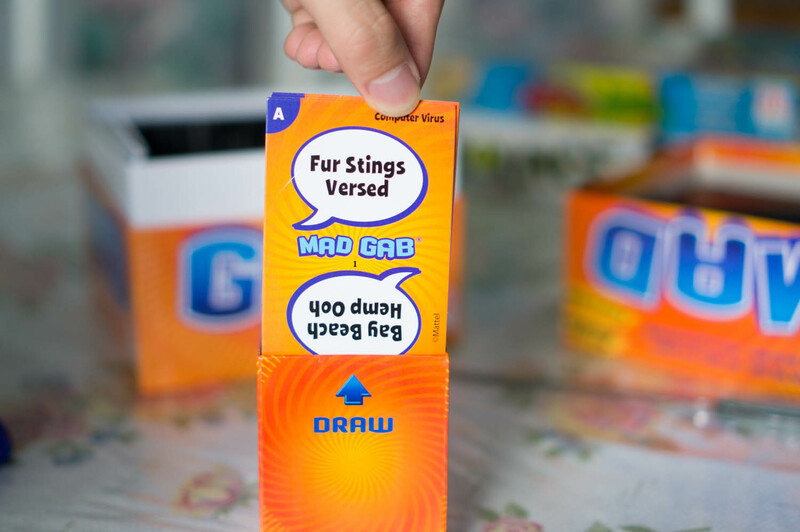 It’s a game where you draw a card, show the other person the top, and they read it out and figure out what the phrase actually is. “Fur Stings Versed” is read into “first things first.” It’s hilarious watching friends reading these funky sentences and translating gibberish into English. 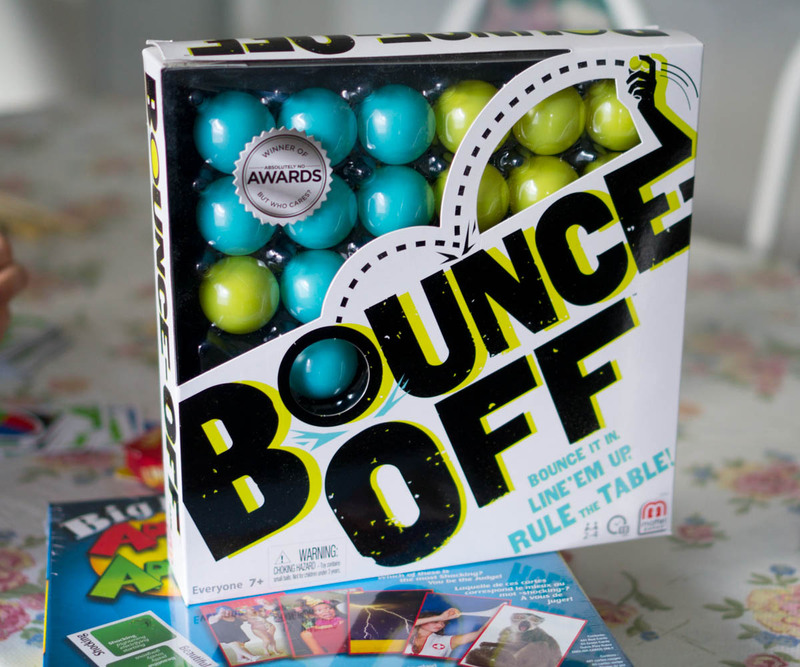 I played Bounce Off with my boyfriend- this is one game I never heard of. 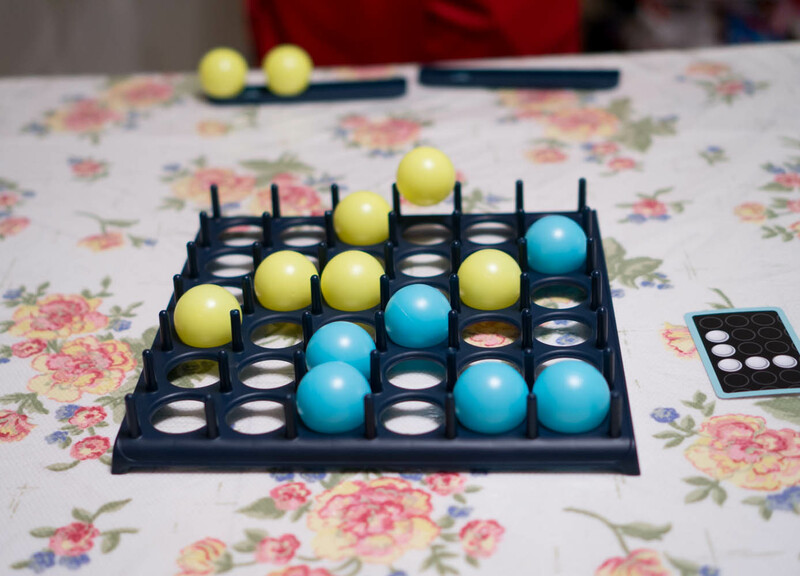 Love how there’s a that seal on the game that said “winner of absolutely no awards.” The rules are pretty basic- you draw a card and bounce the plastic ball on the table, land it on the grid- and take turns doing it until the balls bounce in the formation pictured on the card. 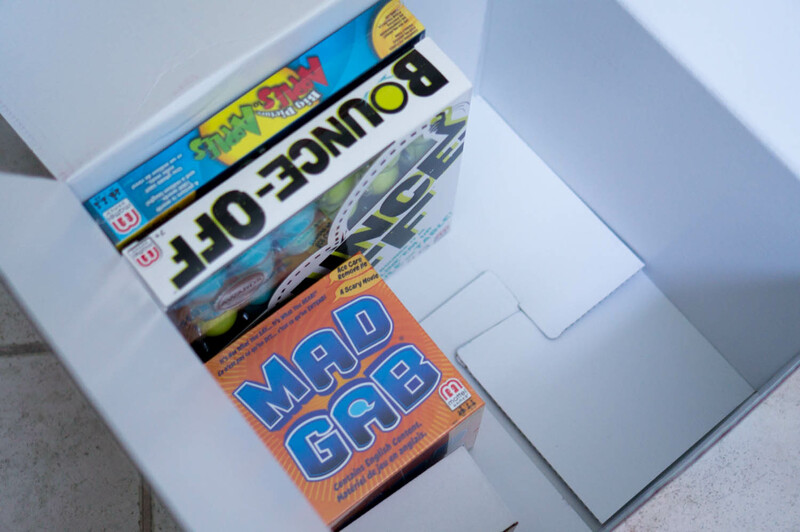 The game sort of reminds me of beer pong- this would be fun to make it into a drinking game where I would lose very badly. To simplify the game- a judge draws a green card and put it in the middle. 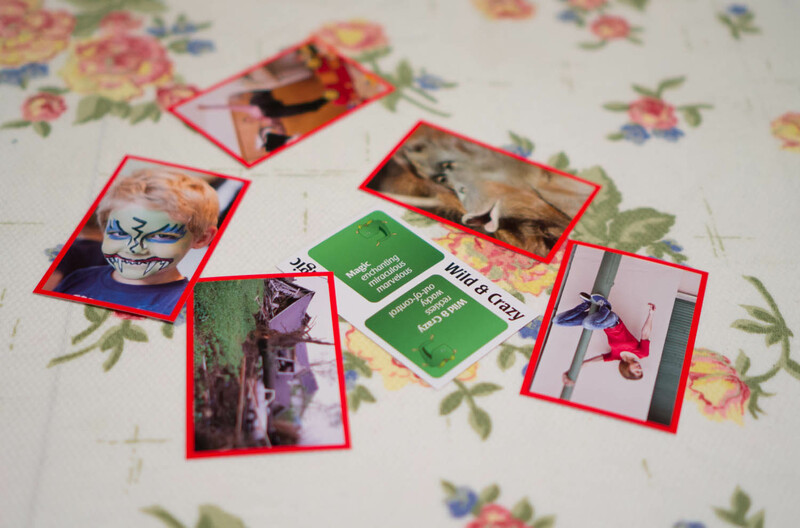 Each player has red cards with pictures in their hands and they pick the card based on what’s the best fit for the description on the green card. 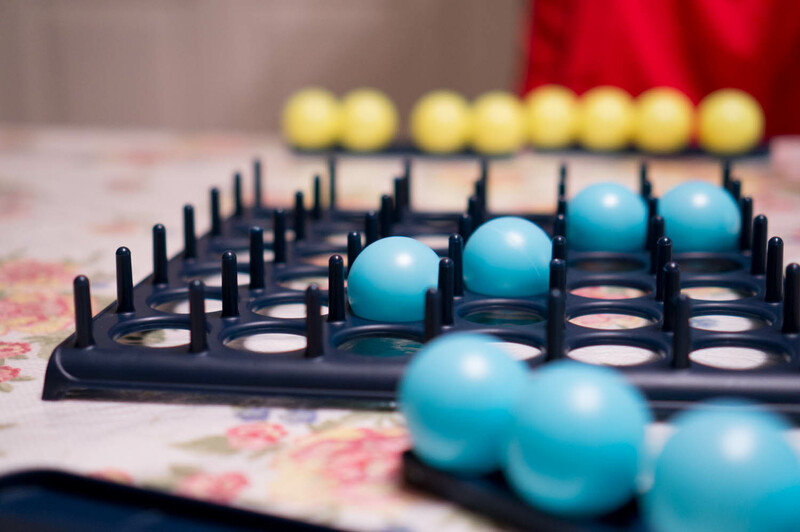 It’s weird how I played board games a lot when I was young, then during high school I didn’t really play them anymore, and then during university to now days, I look forward to having games night. I prefer playing games over drinking parties any day! 😛 Plus, if there’s any games where I have the chance to be “evil,” then hell yea I am ready! 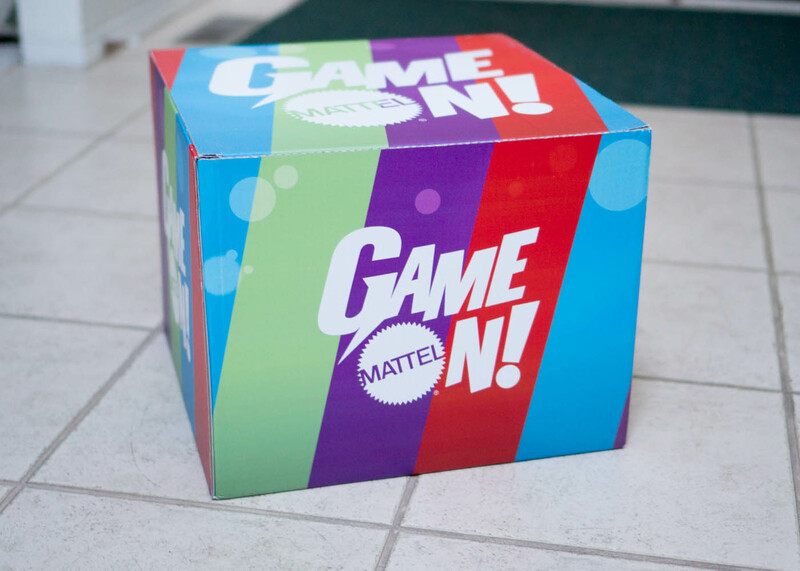 There’s a chance for you to win a Mattel game by playing their Anytime is Game Time contest on their Facebook Page! 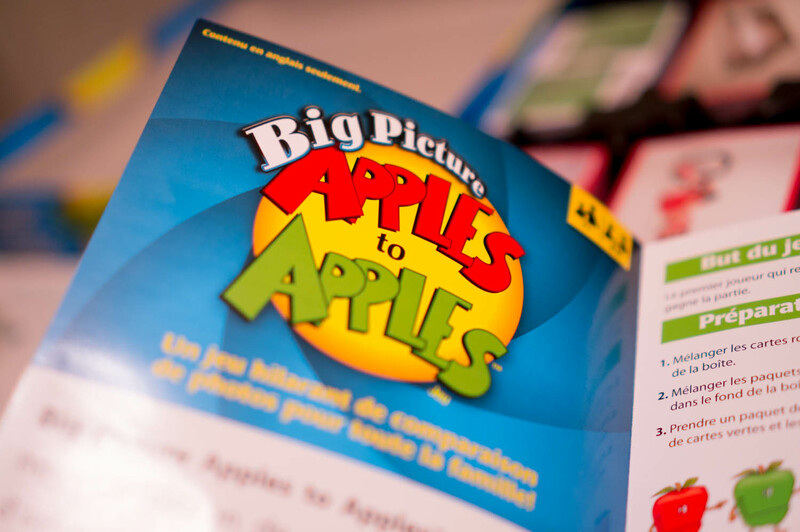 Are you a fan of any Mattel games, or do you enjoy sitting for hours playing Settlers of Catan or other strategy games? Disclaimer: PR samples sent for review.